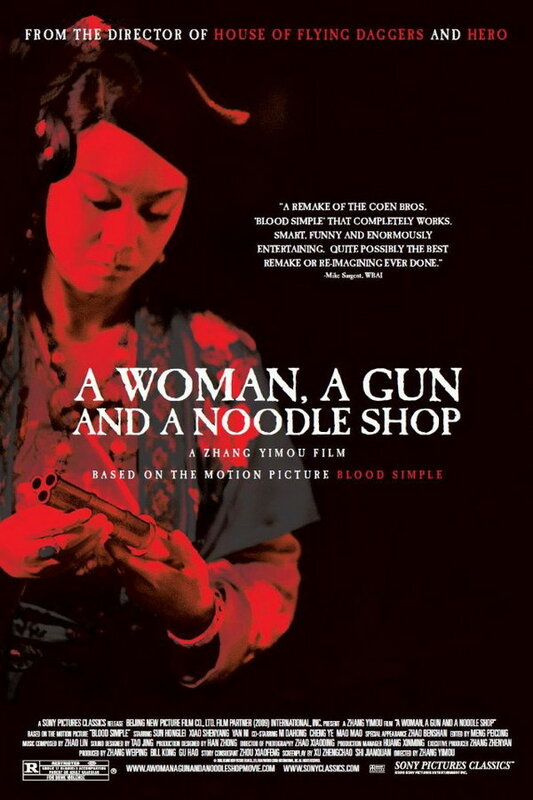 A Simple Noodle Story font here refers to the font used in the poster of A Simple Noodle Story, internationally titled as A Woman, a Gun and a Noodle Shop, which is a remake of the 1984 movie Blood Simple and the movie transports the original movie’s plot from a town in Texas to a noodle shop in a small desert town in Gansu of China. The font used for the movie title in the poster is probably Caslon Antique originally designed by Bernd Nadall. The font is a commercial one and you can view more details about it here. In addition to A Simple Noodle Story, Caslon Antique typeface is also used in the following logos, movie posters or album covers etc., including: Floodland, Treasure Island, Begin to Hope, Teaser and the Firecat, First and Last and Always, Vision Thing, The Descendants, Les Misérables, To Walk Invisible, Canyon Trilogy, Empire of the Sun, Shadow of the Colossus.